I’ve never posted a video of myself on youtube before but I guess there’s a first time for everything! Thanks again to all of you who have continuously returned to the site, and welcome to those of you who are just discovering it. I hope you all stick around for more fun things here at vivandlarry.com, and I’ll be posting some new photos over on the facebook page later today. 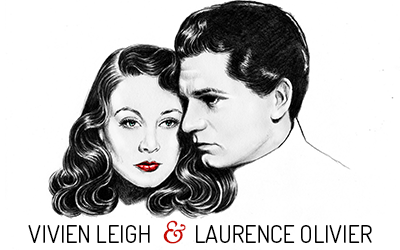 First, I wanted to extend a huge thanks to everyone who participated in the Vivien Leigh and Laurence Olivier Appreciation Blogathon over the weekend. I was so impressed with the consistent quality of the posts across the board. You all are a bunch of fabulous writers! 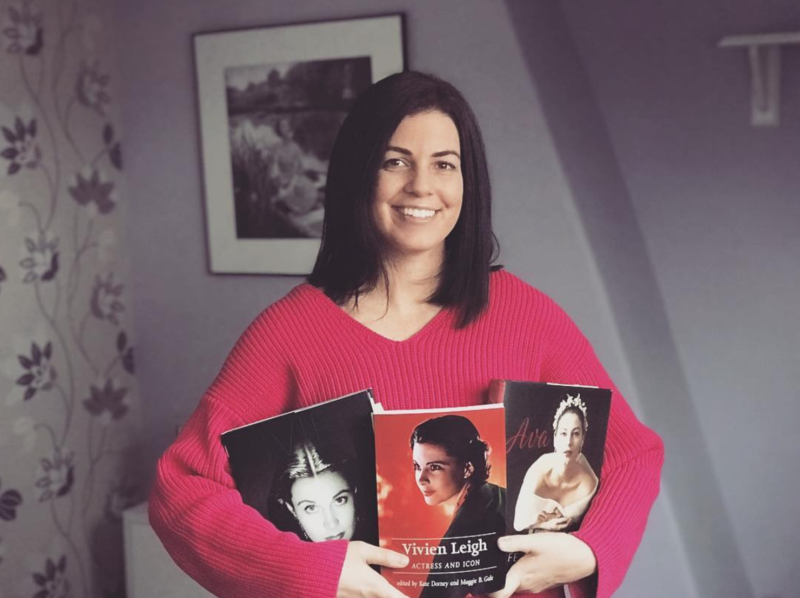 We had posts about everything from people who knew Vivien Leigh to why people should stop calling Laurence Olivier a hammy screen actor, and everything in between. I was really glad to see posts about films which aren’t mentioned as often when discussing Vivien Leigh or Laurence Olivier, such as Sleuth, As You Like It and Sidewalks of London. Well done, everyone! Second, now that I’m in California for a spell, I have a little bit of time to make some actual site updates. First up is some rare video footage of a wardrobe test from Gone with the Wind. It was submitted to vivandlarry.com by Chris, who says that the lady on the left is Margaret Talichett, the former wife of director William Wyler. Talichett tested for the part of Scarlett O’Hara, and then tested as one of the sisters (I’m guessing Carreen, what do you think?). The footage comes from the 1986 documentary Directed By William Wyler. In 1959, Vivien Leigh gave her only full-length television performance in a filmed version of Thornton Wilder’s The Skin of Our Teeth. She plays Lily-Sabina Fairweather (often just called Sabina in the play), a character she had made famous nearly 15 years earlier on the London stage. This adaptation was televised live by Granada Television and today is virtually non-existent. We weren’t sure if it was still out there, or if it had been locked away in some vault, or worse yet, lost or destroyed. So imagine my surprise and utter delight when I received an email from a vivandlarry.com visitor saying she had an archive copy and wanted to send it over! Though there are three acts in Wilder’s play, only the first two are shown in this broadcast. We aren’t sure if Act 3 was even filmed. Vivien is a delight to watch. In her original run back in 1945-46, critic James Agate described her as “half dabchick, half dragonfly.” She brings the same flirtatiousness and comedic timing to this performance, and never misses a beat. I really like how this TV production was staged, substituting the cameras for the audience. I also think it’s funny how Vivien plays two characters: Sebina, and Ms. Sommerset (the actress playing Sebina within the play). Her accent swiftly changes from a Scarlett-Blanche hybrid to her normal posh British at the drop of a hat. George Devine provides good comedic support as Mr. Antrobus. This program is truly a lost treasure (you can see it in 2 parts below), and I am very proud to be presenting it here at vivandlarry.com! Submitted to vivandlarry.com by Marina.